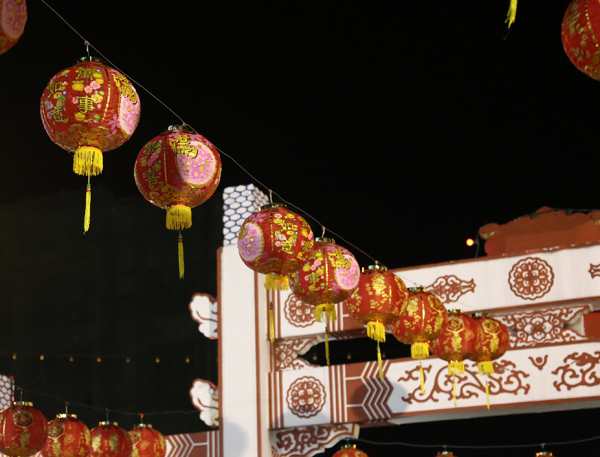 It’s the festive season for Chinese new year and it’s the year of the rooster. I could have bought some shirts from Singapore that has some rooster designs on them. I might look cheesy in them but it’s only once (maybe in a life time that I would wear it lol). It wasn’t as many invites that I had but it was evenly spread out during the weekend. I’ve told myself that I will go on a no-carb diet from 6pm onwards starting next week. Let’s see how that goes. With my travels in February, It might just get a bit tricky. It’s all about the discipline, right? 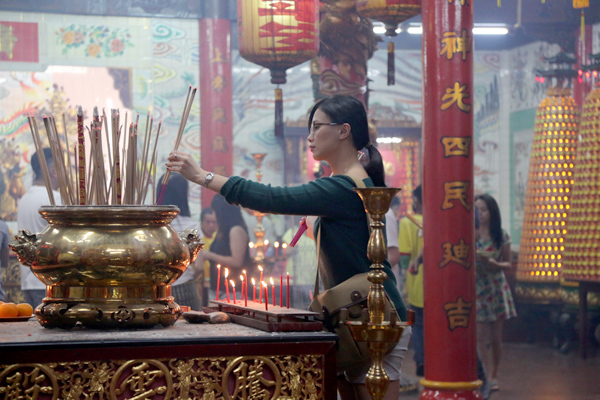 Below are some of the pictures from my recent CNY visits last weekend. 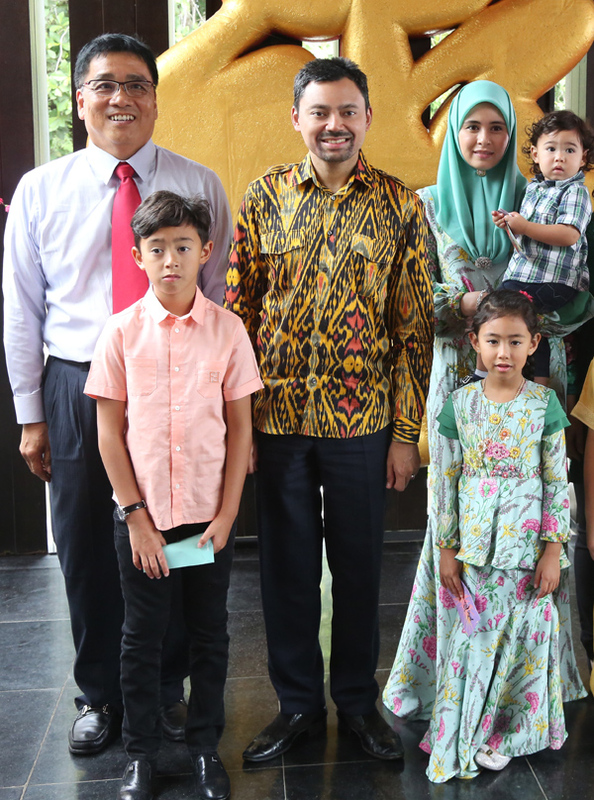 His Royal Highness Prince Haji Al-Muhtadee Billah ibni His Majesty Sultan Haji Hassanal Bolkiah Mu’izzaddin Waddaulah, the Crown Prince and Senior Minister at the Prime Minister’s Office, Her Royal Highness Paduka Seri Pengiran Anak Isteri Pengiran Anak Sarah binti Pengiran Haji Salleh Ab Rahaman, Yang Teramat Mulia Pengiran Muda ‘Abdul Muntaqim, Yang Teramat Mulia Pengiran Anak Muneerah Madhul Bolkiah and Yang Teramat Mulia Pengiran Muda Muhammad Aiman at Pehin Kapitan Lela Diraja Dato Paduka Goh King Chin and family’s residence in Kota Batu last Sunday. 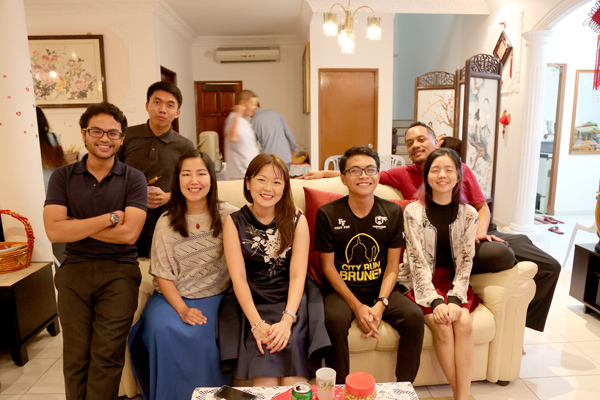 At Pehin Lim’s residence. 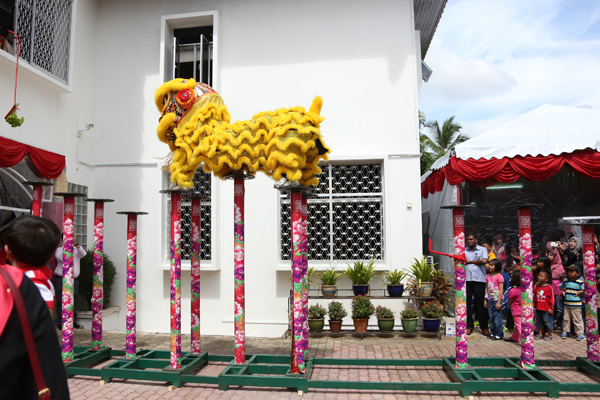 So far, this is the only lion dance I saw this time round. 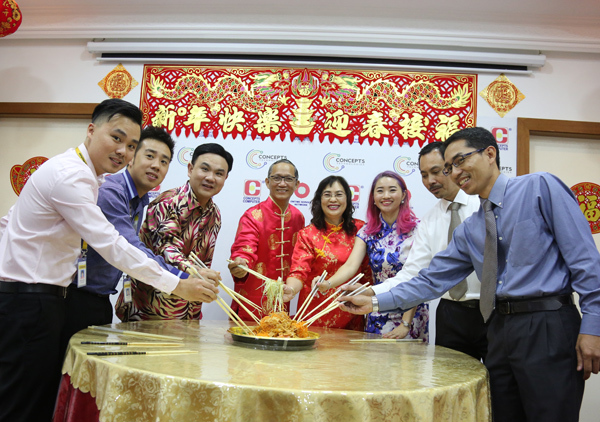 Concepts Computer hosted its Chinese New Year open house at its establishment at Kiulap earlier today. 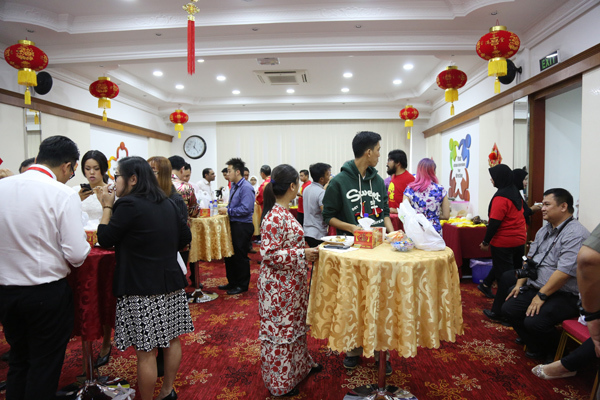 The guests were among the business partners of Concepts Computer and Bilster Technologies as well as members of the media. 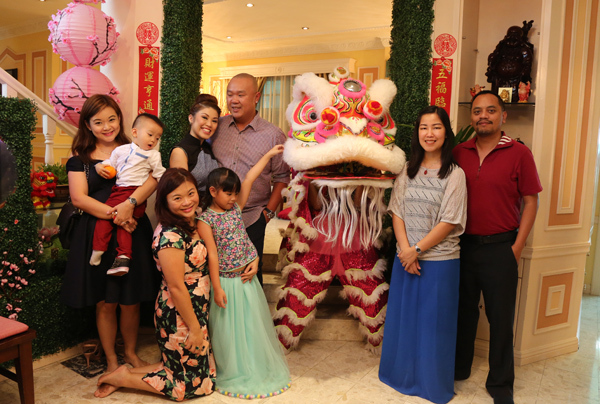 As you know, this is the celebration in conjunction with the Year of the Rooster. 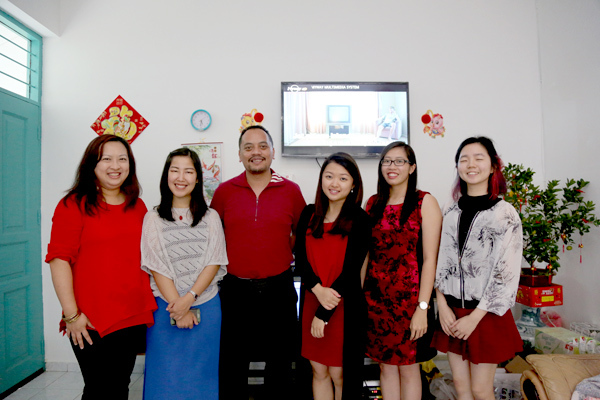 Present during the open house were Mr. Vincent Pao, General Manager of Concepts Computer and Alice Chan. Finance Controller of Concepts Group. 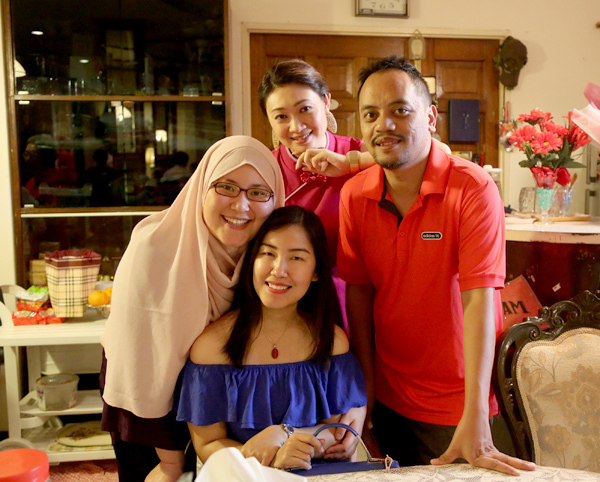 Thank you once again, Mr. Vincent Pao, on your invitation and your continuous support in the local SMEs here in Brunei Darussalam. 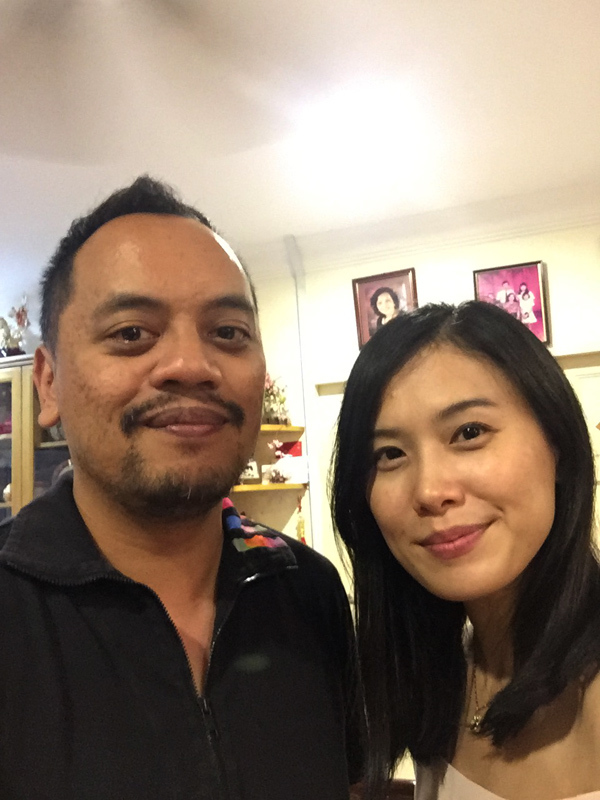 His company has been one of my longest business clients and it boils down to the strong relationship and professional friendship that I have with Mr. Vincent Pao. He is one of my aspirations to be a successful entrepreneur and I’m truly happy where he is right now. The Mercedes-Benz designers have restyled the product range with great success. The upcoming compact class generation marks the dawn of an even more rigorous implementation of the design idiom of “sensual purity”. The “Aesthetics A” sculpture provides a first indication. 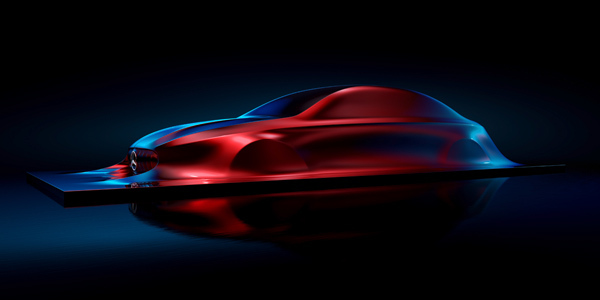 The designers at Mercedes-Benz are reconciling tradition and modernity in designing the cars for the future. Their work centres on ‘Sensual Purity’ as an expression of modern luxury. In applying this design philosophy, Mercedes-Benz sparked a transformation in design with the current AClass, launched in 2012. The new design idiom featuring edges and creases – indentations and recesses in the sheet metal – aimed to create clear forms and sensual surfaces which showcase high tech while also arousing emotions. This played a decisive role in making the brand younger and was key to the company’s excellent sales results. Every Mercedes-Benz model that followed since was born from this philosophy despite having an individual character. 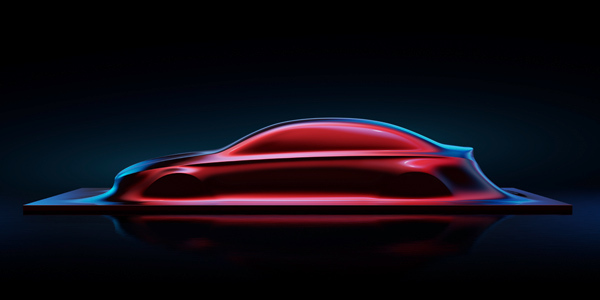 With the “Aesthetics A” sculpture, the design team now presents the vision of a saloon car in the compact car segment which is stripped down to the essential body. It also provides a clear indication of how the design philosophy of ‘Sensual Purity’ will be manifested in the not too distant future. The “Aesthetics A” sculpture embodies the advancement of the Mercedes-Benz design idiom. “Form and body are what remain when creases and lines are reduced to the extreme. We have the courage to implement this purism”, says Chief Design Officer of Daimler AG, Gorden Wagener. “In combination with perfect proportions and sensual surface design, the upcoming generation of the compact class has the potential to herald a new design era. Design is also the art of omission: the days of creases are over”. Rather than modifying the basic shape with lines and creases, the Mercedes-Benz designers employ sweeping surfaces at angles to each other to contour the body design with light and shadow and to emphasise the proportions. This makes the essence of a body visible and communicates it in a credible way. The expressive and confident red as a new signature Mercedes-Benz colour underscores the sensuality and emotion of the sculpture. “Aesthetics A” has a three-box design and is thus also a sign of new forms in the compact class, because outside of Germany and Europe classic saloons are also very much in demand in this segment. The “Aesthetics A” sculpture is a continuation of a series of sculptures from Mercedes-Benz which to date comprises the works “Aesthetics No. 1” (2010), “Aesthetics No. 2”, “Aesthetics 125” (both 2011) and “Aesthetics S” (2012). Mercedes-Benz design serves to showcase a passion for automobiles in a modern design idiom. The importance which Daimler AG attaches to design today was highlighted when the post of Chief Design Officer was established on 1 November 2016. Dr Dieter Zetsche, CEO of Daimler AG and Head of Mercedes-Benz Cars: “Good design is about much more than simply creating beautiful products: It combines functionality with fascination and gives brand values a distinctive form. We are delighted that our design team under the leadership of Gorden Wagener is among the best in the industry, because the excellent global sales of our vehicles is ultimately also due to their outstanding design”. 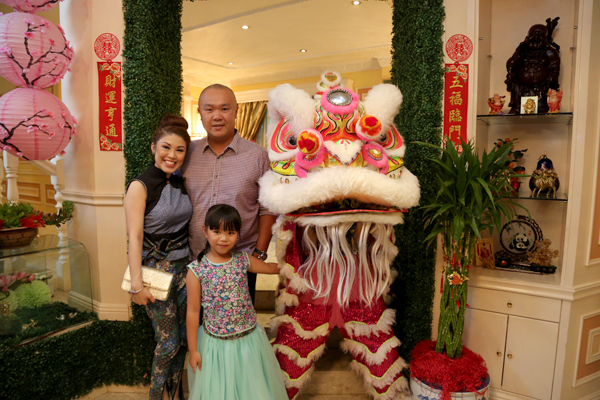 Garden Sentral Hotel wish to inform that they are back with their Chinese New Year Festive Promo in Kuala Belait. Promotion valid between 27th January – 5th February 2017. 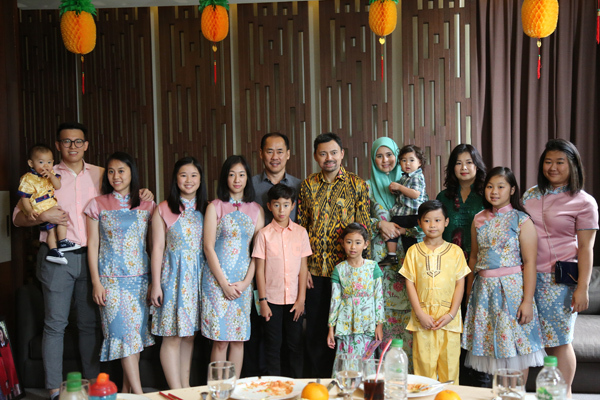 Garden Sentral hotel has the facilities of supermarket, variety of dining outlets, kids play, cinema, arcade, swimming pool, gymnasium, car park, open space balcony, garden courtyard and etc. All under one roof. Hotel Serviced Apartment offer short term, long term, business or leisure stay, Garden Sentral Hotel offers the needs. Our fully Serviced Apartment (modern contemporary design) comes with fully equipped kitchen, laundry, dining and living room. Living room and bed room equipped with 42” and 50” full HD LED TV with cable channels / ASTRO & DVD Player, Local & IDD calls facilities well as free High Speed Internet (Fiber Optic). Provide open space balcony for BBQ and relaxation. 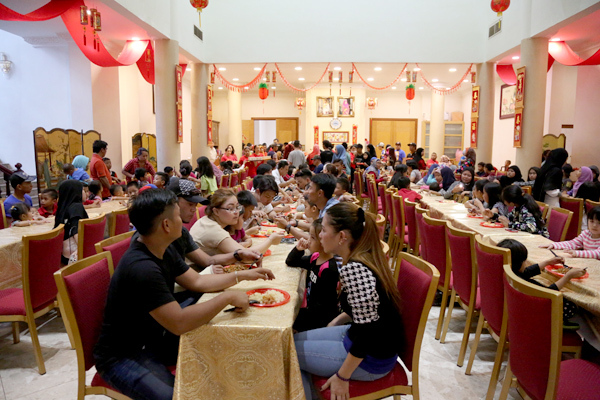 Housekeeping service, Laundry Services, Maintenance service, Complimentary transportation within KB Areas, Free access to swimming Pool & Gymnasium, Arcades & Children Playground, sheltered car park, 24 hours CCTV & security, 24 hours Reception & Concierge, Discounts on food and beverage outlets at KBSentral Shopping Centre. To add the convenience, we have provided car rental on daily, weekly and monthly basis with special rate for our in house guest. 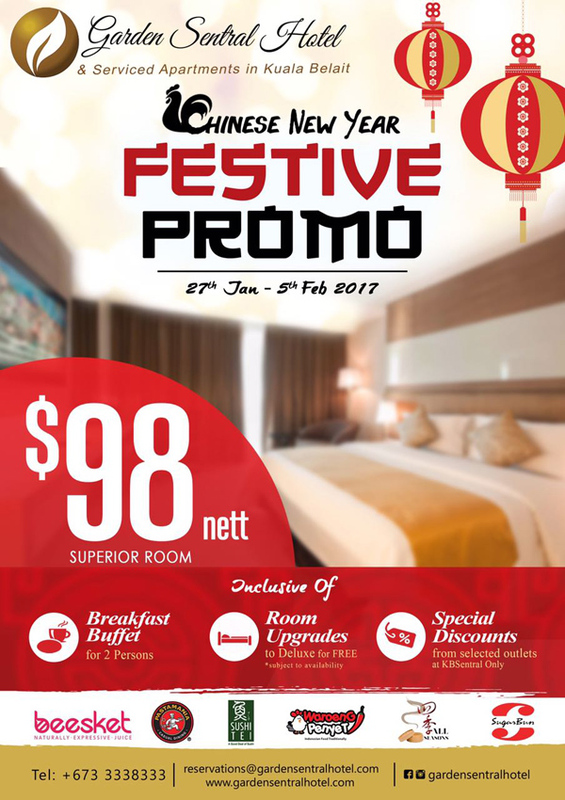 All of this for only @BND$ 98.00 NETT Inclusive *BUFFET BREAKFAST for Two Persons for a Superior Room at Garden Sentral Hotel. 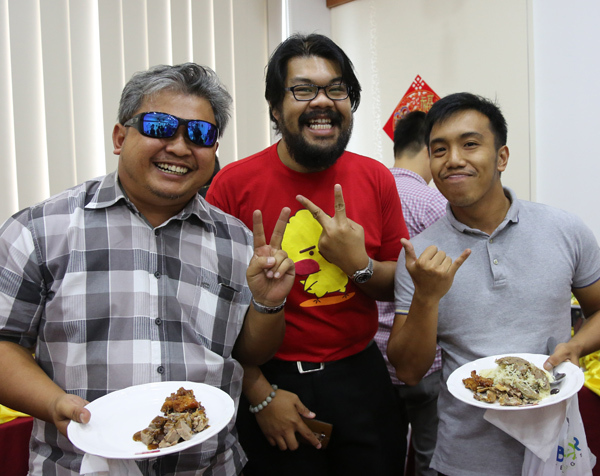 The new faces of Brunei Basketball Association. Image taken from BBA Facebook Page. Late post: In-conjunction with the 33rd National Day celebration, the Brunei Basketball Association (BBA) will be hosting an inter-district basketball tournament at the BBA Indoor Basketball Hall from 19th to 26th February 2017. 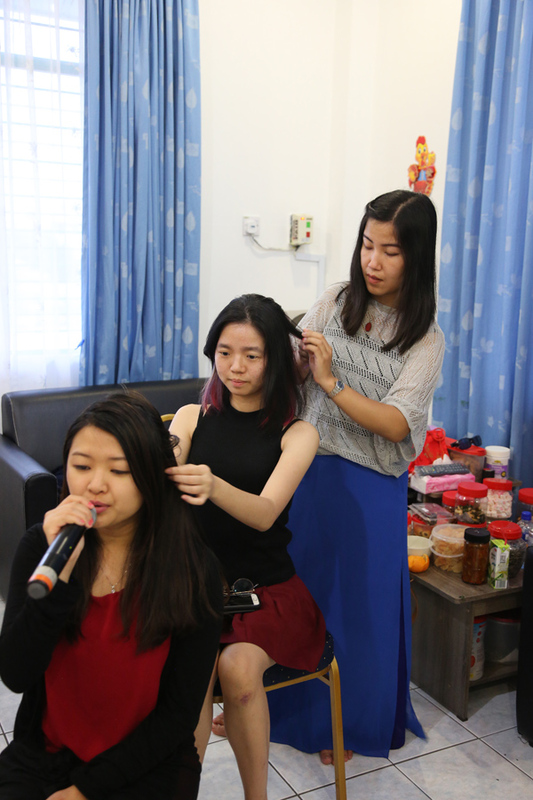 The tournament is supported by Core-Lee Enterprise, Easy Way Tea and Café, and Soon Lee Holdings. One of the key objectives of the tournament is to identify potential players who are capable and willing to represent Brunei Darussalam in regional and international basketball competitions. “One of our priorities is to revitalize the platform for youth who aspire to represent our country. The aspiration for the new executive committee for the next three years is to develop a team that is competitive in SEABA competitions.” said Johnny Ang, the Deputy Chairman of BBA. The tournament will be opened to Brunei Citizens and Permanent Residents and players who are interested to participate in the tournament can contact the basketball association in their respective districts for further details. 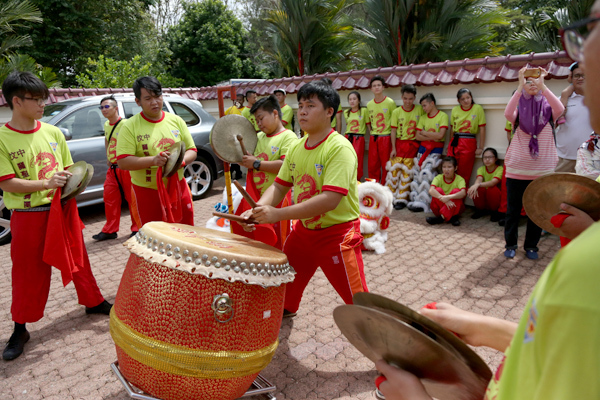 For Tutong District, the contact point would be Mr. On Wei Yeah at 8737528. 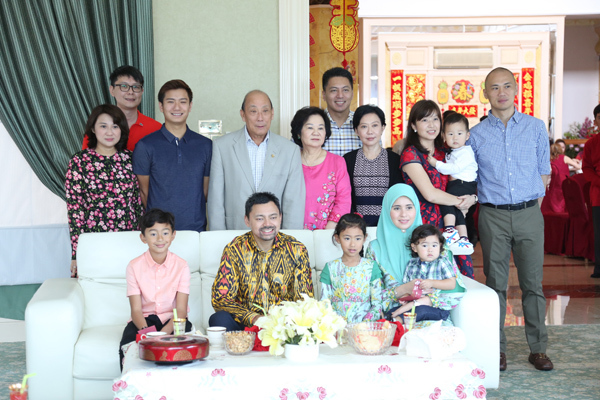 For Belait District, the contact point would be through the Chairman of Belait District Basketball Association, Mr. Wong Ming Ching, at 8758873. 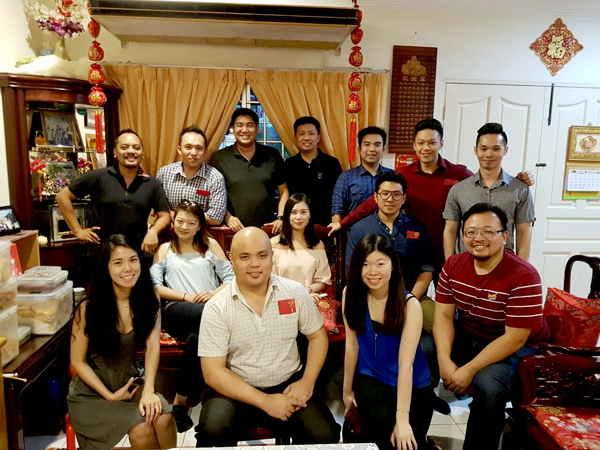 Although Temburong District does not have a basketball association, the Temburong team will be organized by Mr. Tan Chu Eu at 8758338. “For this tournament, we will have a stronger focus on youth. Each team is required to have at least 3 players under the age of 23 and one youth player must be playing on the court at all time during the tournament” said Wira bin Pori, the BBA secretary. 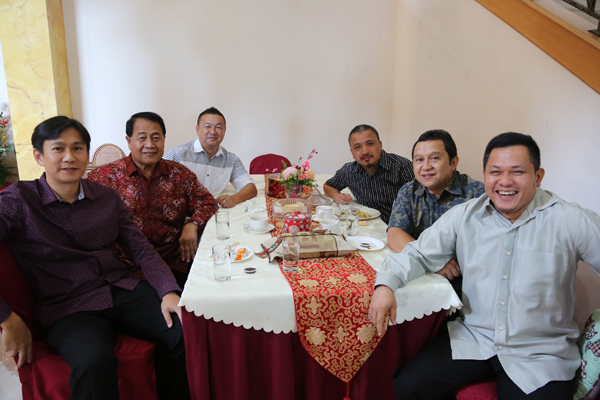 As one of the most active sport associations in Brunei Darussalam, the new executive committee of BBA aims to play a stronger role in the youth development in the country which is in line with the call for youth to make Vision 2035 a success. 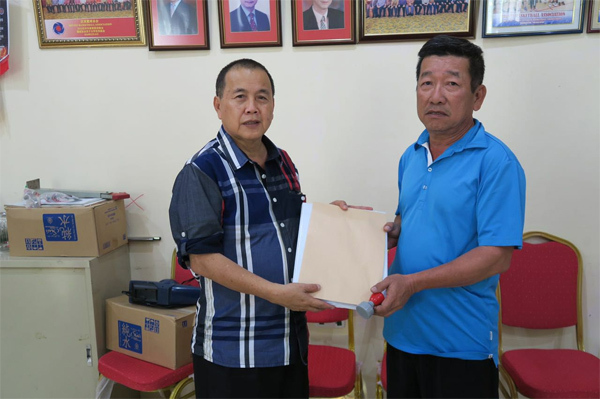 Lim Ting Guan handing over records and documents of the BBA to the new chairman, Kwang Ming Heng. Image taken from BBA Facebook Page. It’s good to see new blood, the young ones in the Brunei Basketball Association (BBA). There are a mixture of the young and the old and it will be interesting to see a different mix of people in the committee. During the election in December, Kwang Ming Heng won the vote as the new Chairman of BBA and Ang Han Then was elected as the Deputy Chairman. 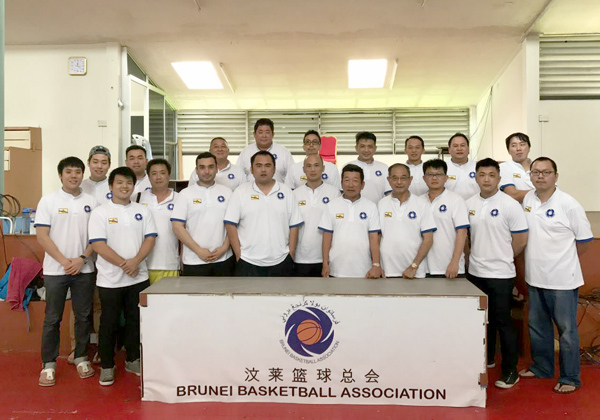 According to the report at Borneo Bulletin, BBA under the previous committee has agreed to upgrade the basketball court at Batu Bersurat as per FIBA’s specifications. The project is estimated to cost around $91,350, while the new gym and equipment will cost around $23,952. The basketball rack and rim will come with the cost of $3,000. The renovation project, which is scheduled to begin in January, will be delayed until March waiting for the FIBA-approved flooring to arrive in the country. The renovation is expected to take 10 weeks. 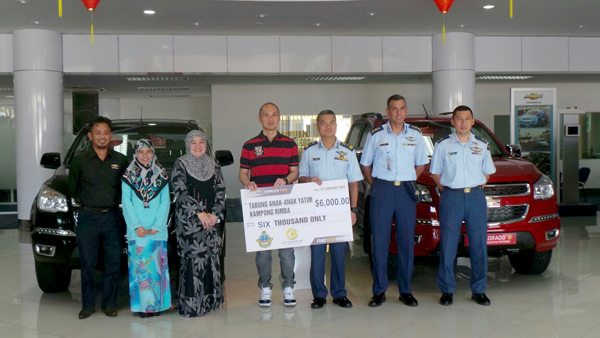 Chevrolet Brunei, one of GHK Motors Sdn Bhd franchise, presented Royal Brunei AirForce with a cheque of $6,000 following a charity run held last year. 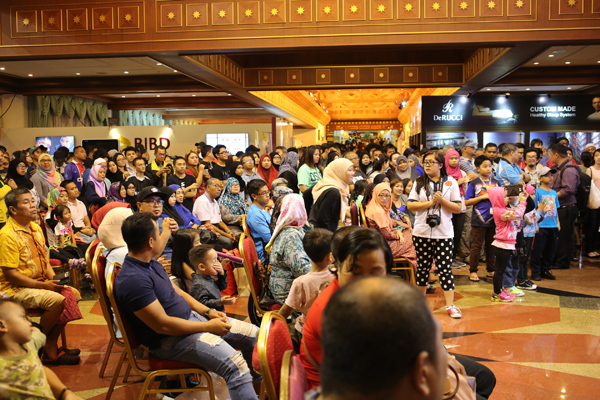 The event was held in Chevrolet Showroon at Sumbangsih Bahagia, Beribi. 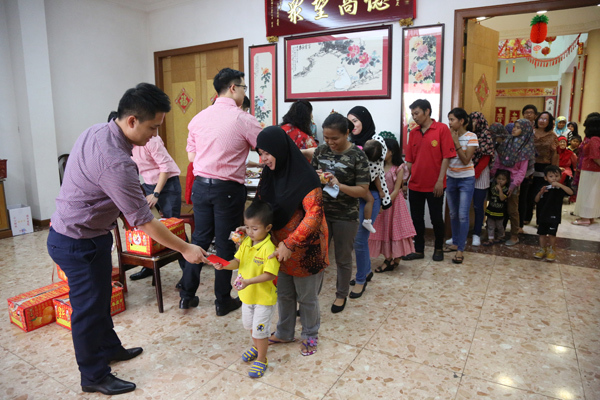 The charity run was organized by Royal Brunei Airforce in celebrating their 50th anniversary with aim to raise funds for Kampung Rimba’s children orphanage. 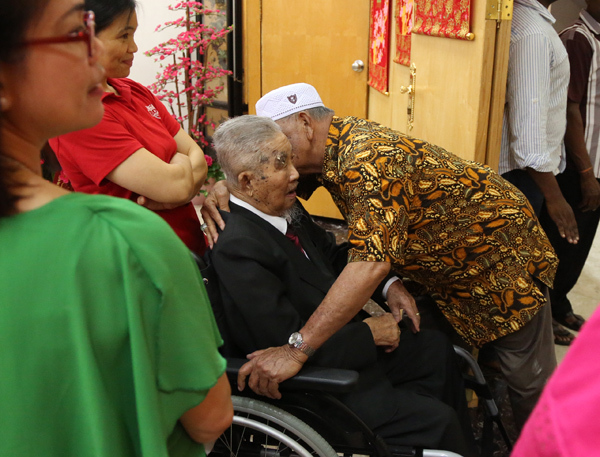 GHK Motors Sdn Bhd’s Director, Jake Goh presented the charity cheque to Commander of Royal Brunei AirForce, Brigadier Jeneral Dato Shahril Anwar bin Haji Ma’awiah. The ceremony started with the recite prayer by Pg Haji Omar Ali, one of Chevrolet staff. GHK Motor Sdn Bhd was thankful for the opportunity given by Royal Brunei Airforce to participate in the “Obstacle Challenge Charity Run” that was conducted last year. 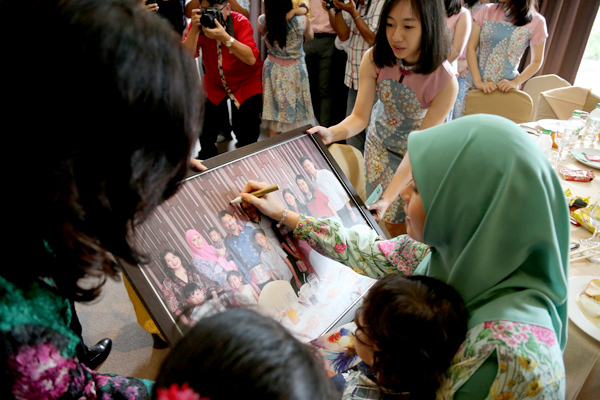 The run was held to support and to help raise a special fund for Kampung Rimba’s Orphanage. 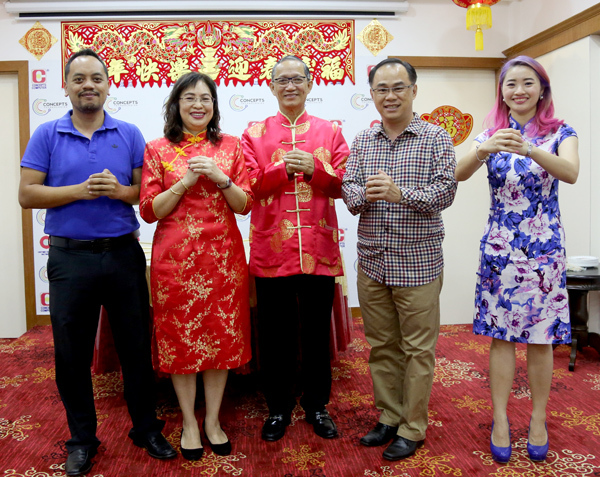 GHK Motors Sdn Bhd donated $6,000 to the orphan fund with initiative programme under Chevrolet named “Chevrolet Complete Care”. Audi has driven home two overall wins in the “Best Cars 2017” competition. The Audi A1 triumphed in the “Small Car” category in the reader survey conducted by “auto motor und sport” magazine, and the Audi A3 won the “Compact Car” class. The award ceremony was held today in Stuttgart. The “auto motor und sport” award ceremony was held for the 41st time this year. Readers of the renowned trade journal selected their favorites from 378 models in eleven categories. 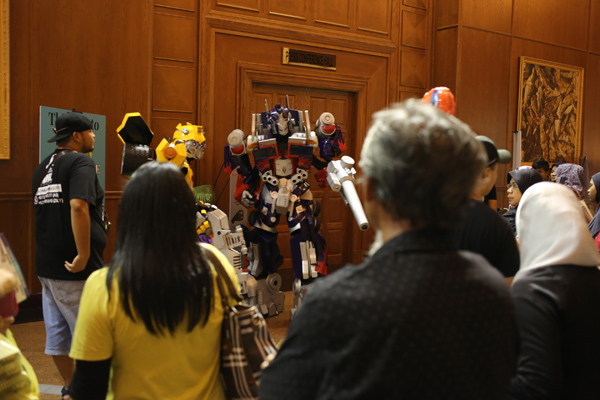 The publication selected an overall winner and a top import in each category. 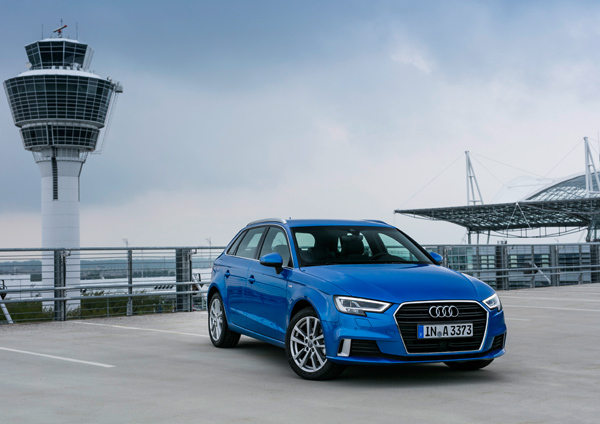 In the “Small Car” category, 20.7 percent of the readers selected the Audi A1, and 17.1 percent chose the Audi A3 as the top of the “Compact Car” class. In addition, the Audi Q7 took second place in the “Large SUV/Offroad Vehicle” category with 10.4 percent of the vote. Third place finishes went to the Audi A4 in the “Midsize” category, to the Audi A6 in the “Upper Midsize” class, to the Audi R8 Spyder in the “Convertibles” class and to the Audi Q2 in the “Compact SUV/Offroad Vehicle” category. For more information on our award winning Audi models, please call our Kiarong Showroom at 244 2333. Follow us on our social media accounts https://www.facebook.com/AudiBrunei/ and https://www.instagram.com/audibrunei/ to get the latest scoop on Audi. Searching for good quality headphone? 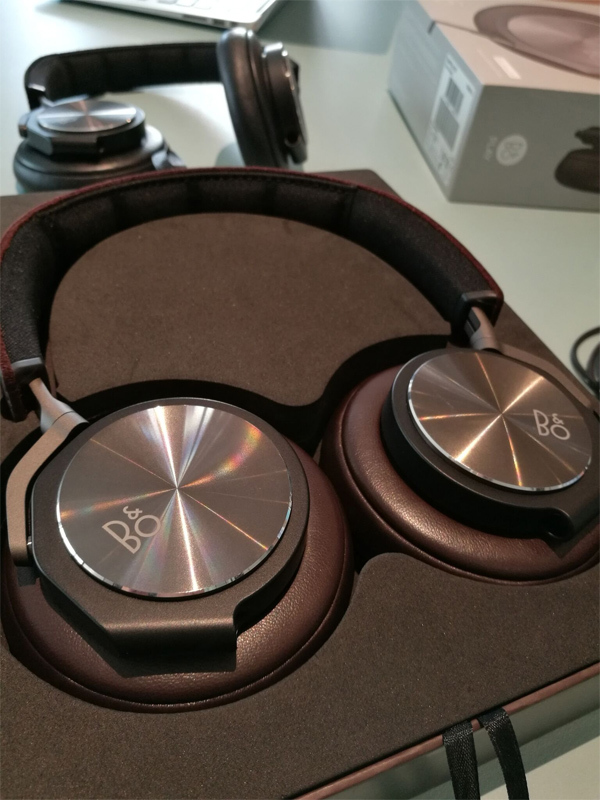 Have you actually tried the Beoplay H6 from B&O? It has quite rave reviews for its elegant look & feel and also its superb sound quality. The Beoplay H6 are over-ears headphones that cover you ears with the classic round pads. If you ask me, it’s visually elegant and still practical for its usage. To me, I’m more into the look and feel of the H6 and it has a timeless design. The back of each ear cup is made of aluminium, and finished in a shiny pattern of concentric circles. It also grips well on your head and you can even use it while jogging. The padding of the headband are quite slight and great. It’s a memory form topped with real leather. I also like the idea of the removable cable (a 3-button iPhone remote) and it uses a 3.5mm jack which is easy to replace. As for the sound quality, it’s definitely there and something we could have expected from a Bang & Olufsen product. 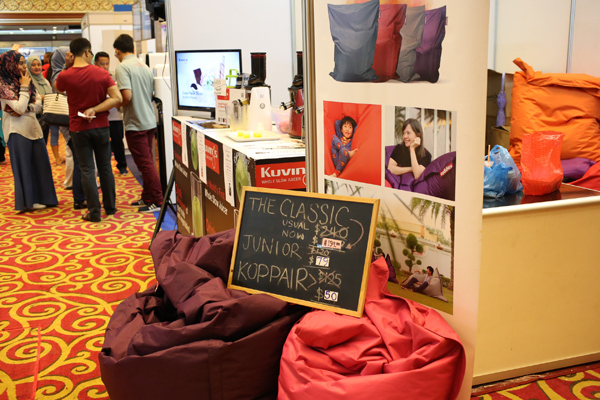 All in all, the BeoPlay H6 is one classy headphone which is a smash hit here in Brunei. The only setback is that it doesn’t have a wireless option but you won’t need to worry about battery life while using it. 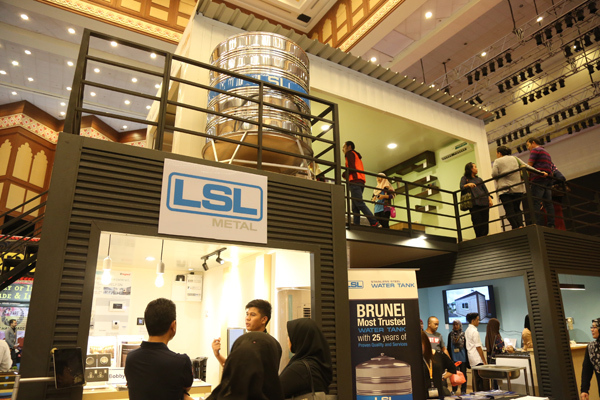 In our Brunei showroom, there are two colour of choices to choose from. 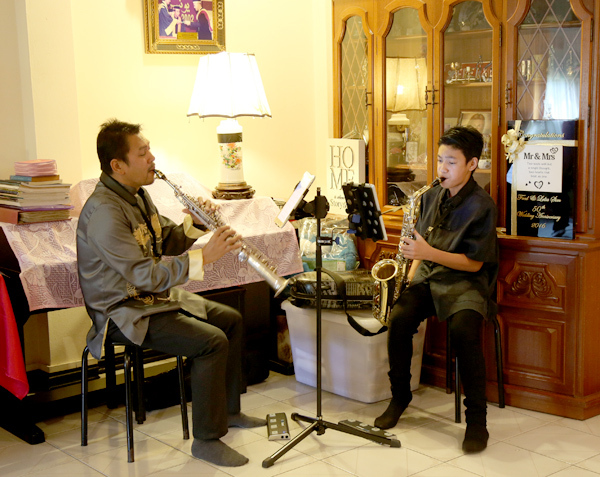 Do visit the store at Sejalin Living at Kiarong. 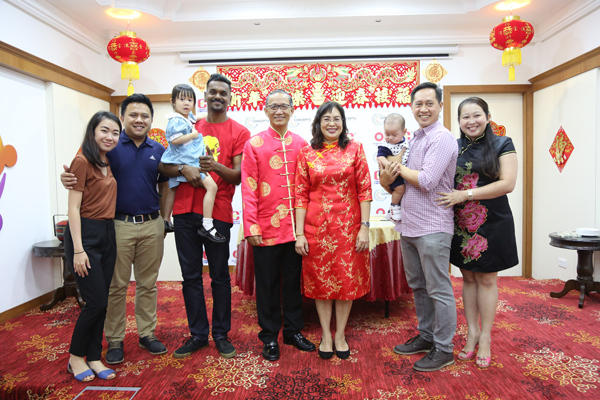 Another exciting news for Bruneians! 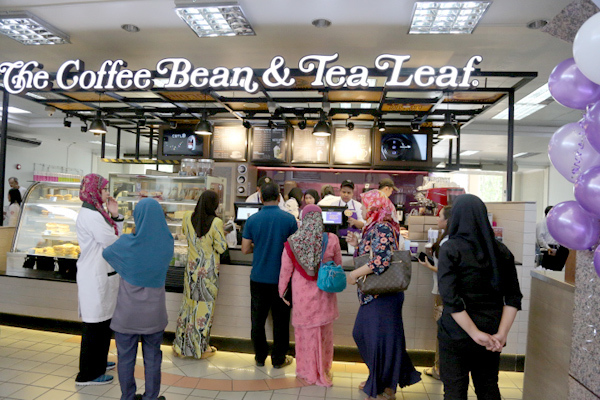 The Coffee Bean & Tea Leaf® has officially opened it’s newest café outlet located at RIPAS Hospital. 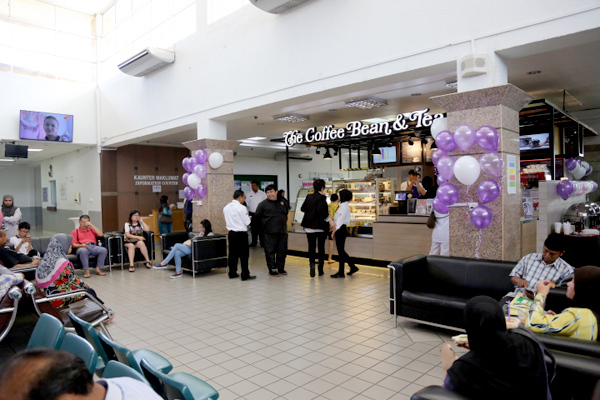 Coffee lovers can now start off their morning with it’s premium handcrafted beverages from The Coffee Bean® outlet at RIPAS Hospital located at the main lobby, from 7am to 11pm. 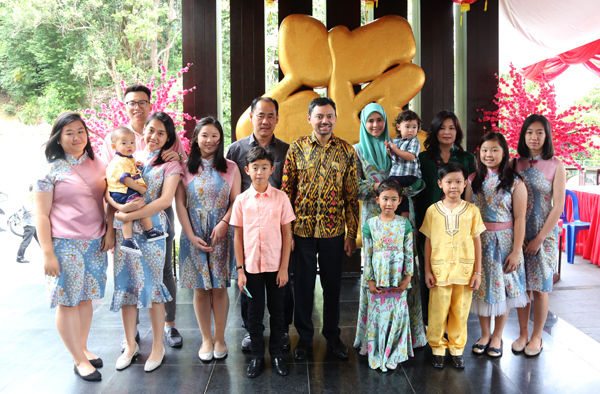 The official opening was held on January 23rd at RIPAS Hospital, attended by Guest of Honor, Yang Amat Mulia Pengiran Anak Abdul Munim Pengiran Anak Tahiruddin the Managing Director of The Coffee Bean & Tea Leaf® and Mohd Khairul Anuar bin POKPADPS Hj Hasrin the Chief Operation Officer of Raja Isteri Pengiran Anak Saleha Hospital. 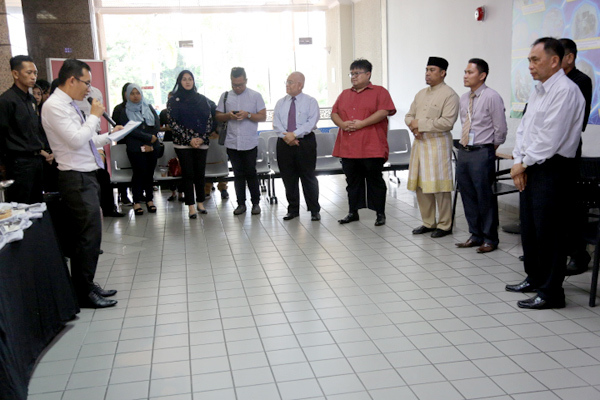 The official opening began with the recitation of Doa Selamat by Ustaz Hj Mohd Emmarul bin Hj Azamain from RIPAS Hospital, followed with a brief welcoming speech by the General Manager of The Coffee Bean®. 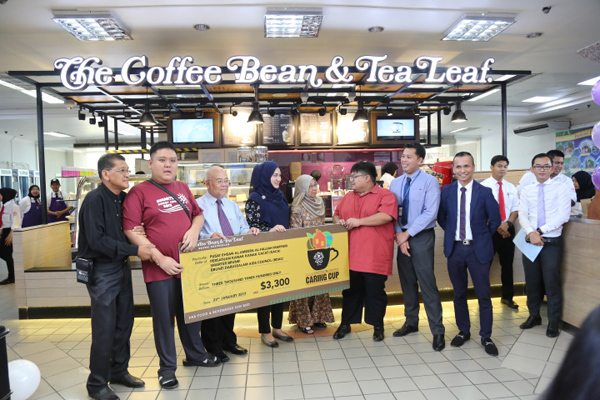 The ceremonial opening was then continued with the first tamping of espresso shot by guest of honors Yang Amat Mulia Pengiran Anak Abdul Munim Pengiran Anak Tahiruddin and Mohd Khairul Anuar bin POKPADPS Hj Hasrin followed by a signing of certificate. Liyana Latif, Vice President (Activities and Events), Brunei Darussalam AIDS Council said, “The Brunei Darussalam AIDS Council would like to extend our heartfelt appreciation and thanks for CBTL for choosing the council as one of the beneficiaries that is receiving donation under the Caring Cup Programme. 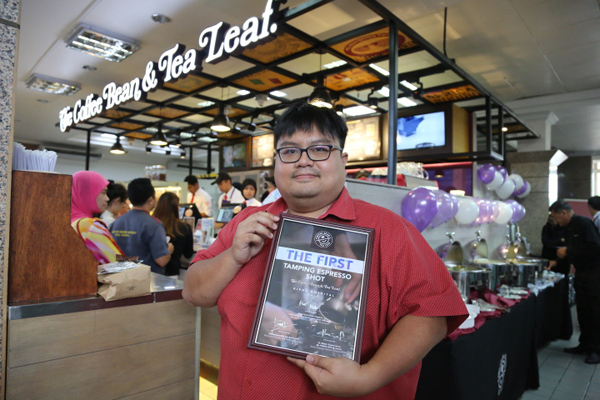 We are very thrilled that CBTL is supporting our HIV advocacy and awareness programmes. Such initiative is highly applauded and other companies and private organisations should follow suit as being part of a responsible member of the community. The financial donation that we’re receiving today will be utilised for more outreach programmes and making our council a resourceful organisation. 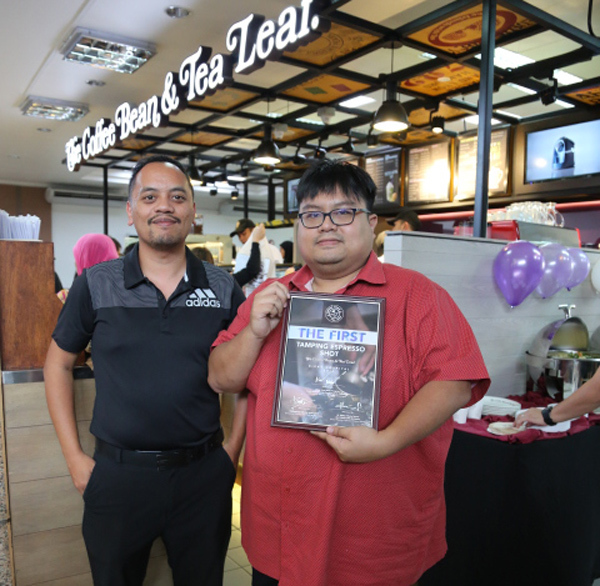 On behalf of BDAC, we’d like to congratulate CBTL on their new branch and we hope that CBTL will continue to support our cause and do keep us in mind in their future charity runs. Same old, same old. 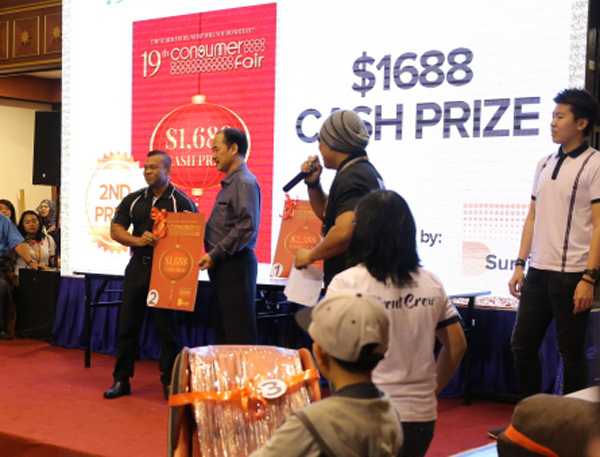 I can’t imagine it has been almost 10 years of consumer fair because the recent one hit its 19th Consumer Fair and it’s bi-annual event in Brunei Darussalam. 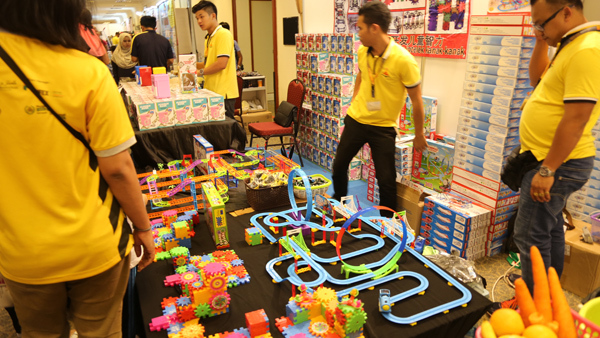 Many organisations have run these types of events but none has reached the peak like how D’Sunlit has run their events especially the household name of Consumer Fair. 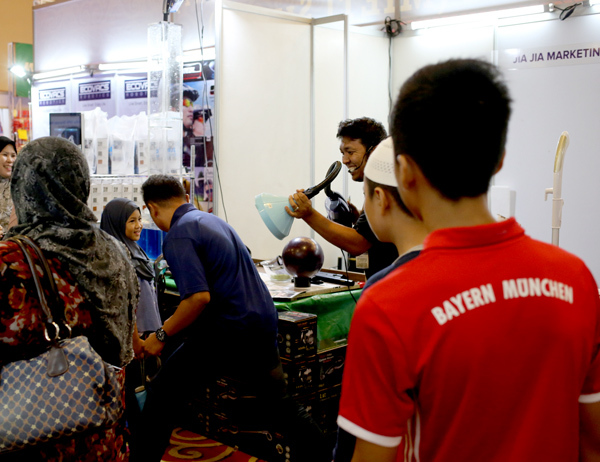 Despite using the same formula over and over again, it didn’t seem to bother the crowd’s interests as thousands flocked in especially during the weekends. 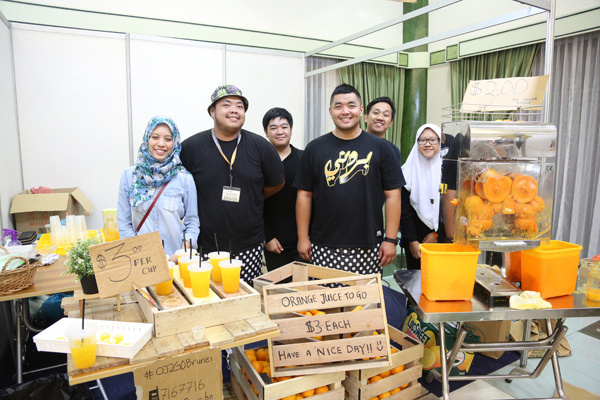 I didn’t buy anything at all apart from the orange juice from @oj2go.bn. The multipurpose was not used as I heard it underwent renovation. 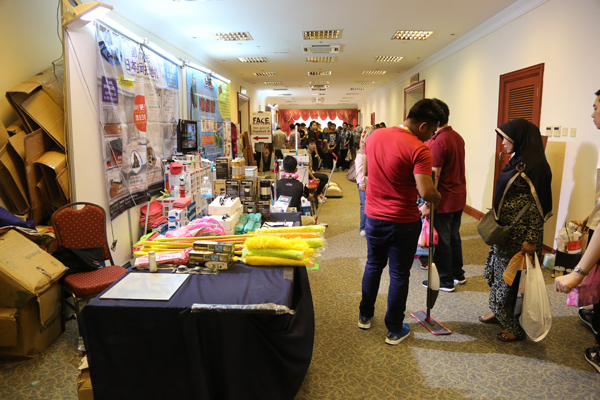 In terms of businesses, I believed a lot of vendors benefited from the Consumer Fair despite a slower start in the week. 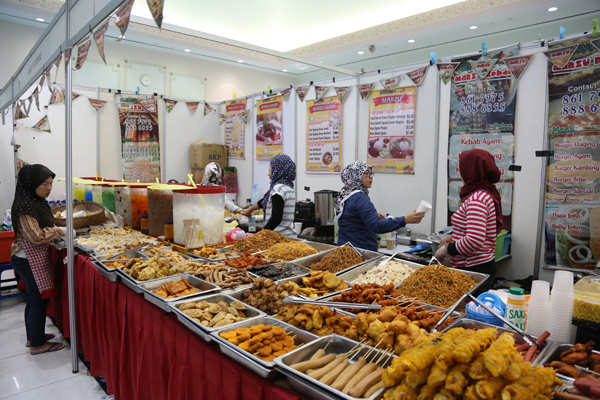 Brunei Halal shared how business was better than the previous one last year. One of the cosmetic vendors ran out of stock on their products on the final day. 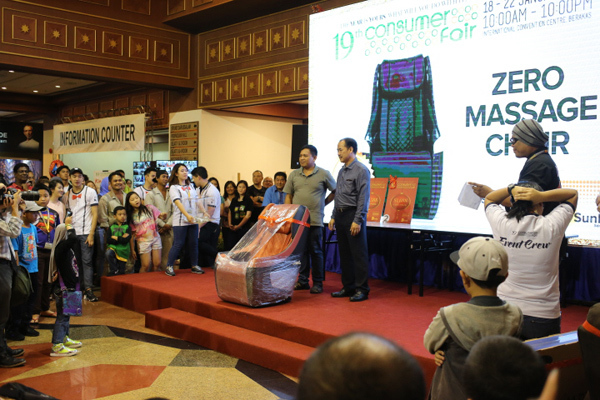 This year the theme for the Consumer Fair carried the theme “The Year is Yours. 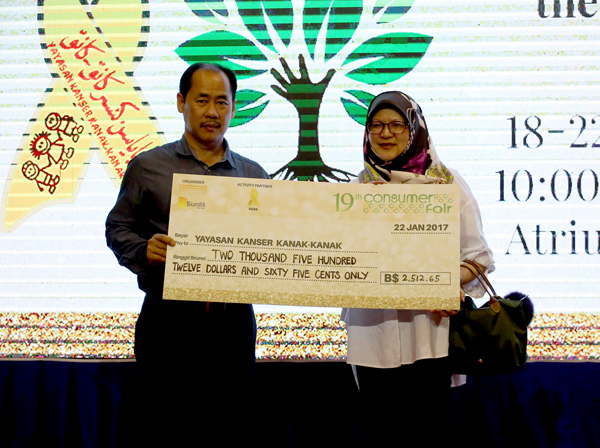 What will you do with it?” Both Yayasan Kanser Kanak-Kanak (YASKA) and the Brunei Darussalam National Association of the Blind (BDNAB) received donations that had been raised during the 19th Consumer Fair. 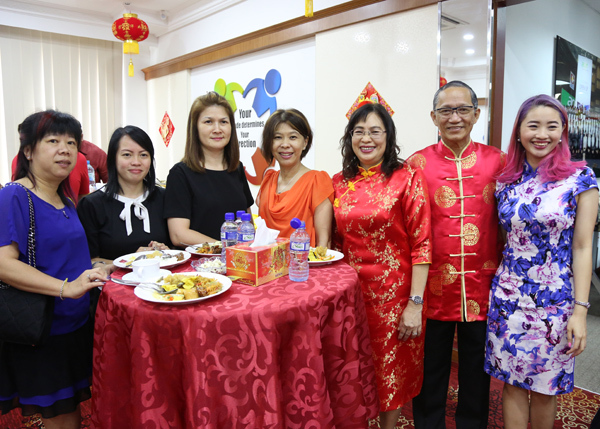 Both NGOs received donations from Jackson Ting, the Managing Director of D’Sunlit Sdn Bhd. 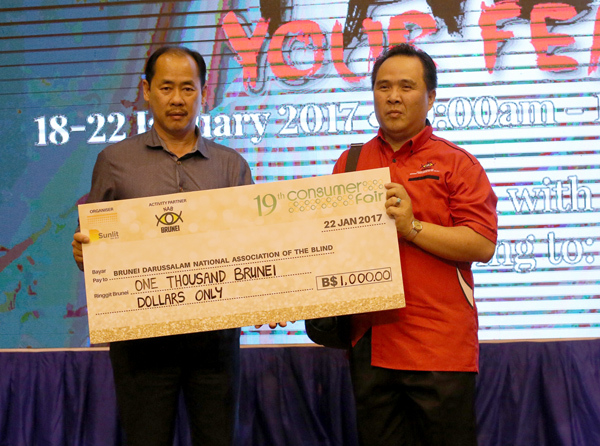 There was also the prize presentation for the Grand Lucky Draw where the grand winner walked away with BND 2,388 cash prize. 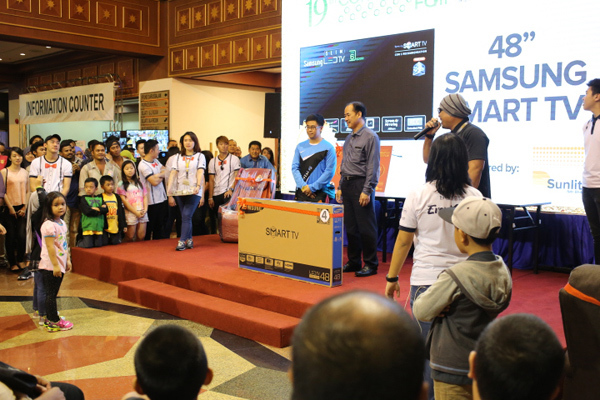 The prizes were sponsored by D’Sunlit Sdn Bhd and DST Communications Sdn Bhd. The event organiser would like to thank the government for the continuous support and also to the vendors, exhibitors, activity partners and most important the crowd. 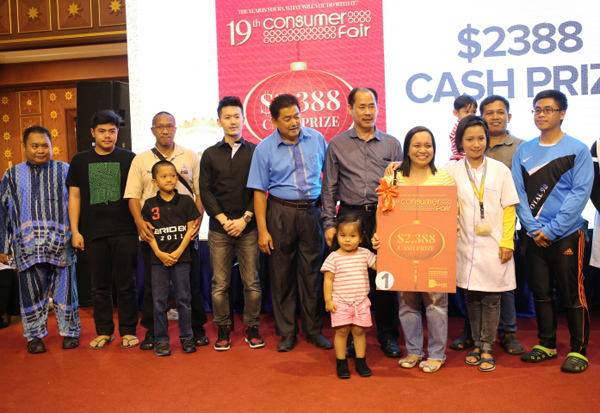 The next Consumer Fair the 20th edition will be on 26th to 30th July 2017 at the same venue, International Convention Centre.